Here is a very nice short article about migratory bird protections under the Migratory Bird Treaty which is 100 years old as of this year. One hundred years ago, amid the chaos of World War I, President Woodrow Wilson and King George V of Great Britain turned their attention to a surprising issue: protecting migratory birds. On August 16, 1916 they signed the Migratory Bird Treaty, a landmark conservation agreement. The treaty and the Migratory Bird Treaty Act, which wrote its provisions into U.S. law, protected more than 1,100 migratory bird species by making it illegal to pursue, hunt, take, capture, kill or sell live or dead birds, feathers, eggs and nests, except as permitted through hunting regulations for game birds. Why did migratory birds warrant so much attention? Hunters were decimating bird populations across North America (King George signed the treaty representing Canada). 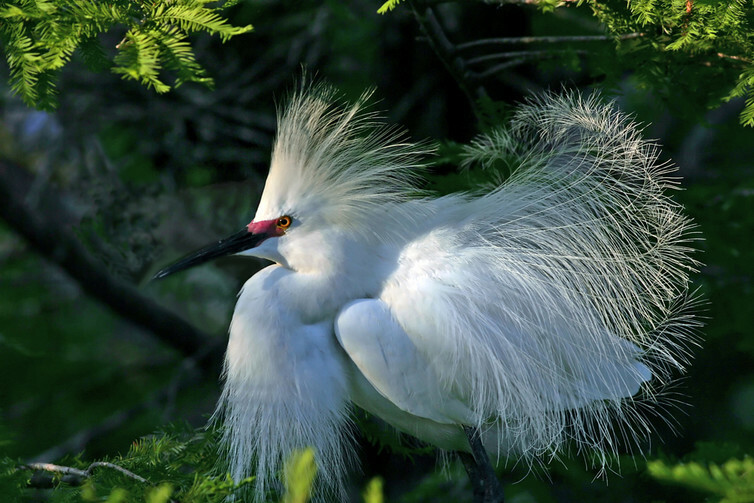 Some five million birds, especially waterbirds like egrets and herons, were dying yearly to provide feathers to adorn hats. The last known passenger pigeon had died just two years earlier at the Cincinnati Zoo. Fearing that other species would meet the same fate, national leaders took action. Thank you for sharing this very interesting article, TPC.